Due to the charity event "Helping Hand" , which took place on November 11 in Kyiv and was initiated by the Mejlis of the Crimean Tatar people and the organization Crimean Family in support of children of political prisoners in Crimea, 48 050 UAH were collected. The Head of the Cultural Center Anife Kurseitova shared the news on Facebook. 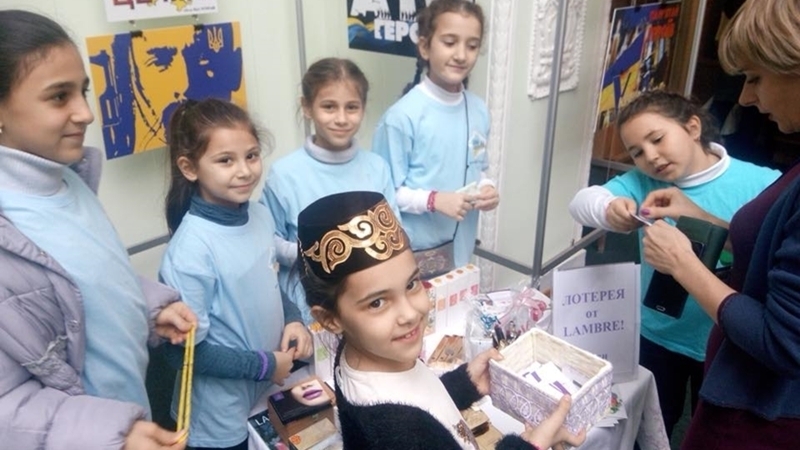 Participants of the event had the opportunity to purchase something from the offered products (Crimean Tatar Food Fair, souvenir products with Crimean Tatar symbols and books), and the proceeds from the action will be transferred to the families of political prisoners. “Thanks to everyone who helped, supported and was with us today. Special thanks to the Mejlis of the Crimean Tatar people, the Islamic Cultural Center, the staff of the National Library of Ukraine named after Yaroslav the Wise, the Ministry of the Temporarily Occupied Territories and Internally Displaced Persons of Ukraine, Vladimir Pritula, the great singer Jamala, the friends of the beautiful Musafir restaurant team, Andrey Ivanets! Thanks to our masters R. Skibin, E. Kataki, Oleg Ovsienko, Zera Murtazaeva, Pavel Makhno, girls from the organization "Maryam", Olga Mashevskaya, the publishing house "Veselka", the Crimean Tatar Resource Center and many others. Our team on the organization, which took over the bulk of the work – thank you all so very much. We are always together!! !” Kurtseitova wrote. Earlier, human rights activist Lilya Gemedzhi stated the necessity to increase assistance to families of detained Crimean Tatars.